Marble is an important Vermont natural resource! We hope you enjoy our introduction to the exhibit. 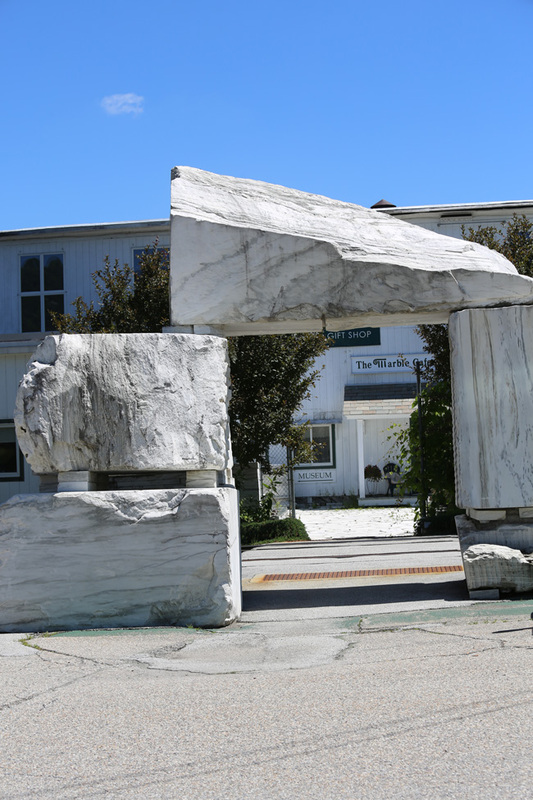 It’s your connection to the history, science and art of Vermont Marble! We have been presenting the past, present and future of marble, as used in art, as building material and amazing world of everyday uses for more that 20 years! Learn the history of marble. From fascinating ways of quarrying it to famous places Vermont Marble is being used. Our gift shop features hundreds of items that make unique and beautiful gifts that last a lifetime. We offer a full plan for tour-buses, Elderhostel, and school groups to the museum. We offer reduced rates to groups of 20 or more! Smaller groups, families and individuals can book ahead for reduced rates! Click here to learn more. Together with Omya, our neighbor in Proctor, Vermont, and the premier producer of ground Calcium Carbonate (marble) products, we have opened a new educational room on the current uses of Calcium Carbonate in the Paper, Pain, Plastic, Food and Pharmaceutical Industries – for example, Chewing Gum & Toothpaste, ….you’ll be surprised! Since we’re located in Central Vermont, the exhibit is easy to reach from all major vacation travel routes. Visit our Art Studio and Gallery. Meet our resident artist and view many fine works.